J.R. Watkins was founded in Plainview, Minnesota in 1868 by Joseph Ray Watkins. Originally started in his home, J.R. Watkins became famous after assisting the first Women’s Medical College and Elizabeth Blackwell in finding an all-natural medicine for pain relief. Made of camphor from evergreen trees and capsicum from red peppers, Watkins Liniment was the first product introduced and the rest soon followed. Watkins was even the first company to have a “100% guarantee Trial-Mark Bottle,” where customers could try the product risk free, and if they stayed above the line on the bottle, they could get a full refund if not fully satisfied with the product. Even today, everything is naturally crafted in the U.S.A.
Watkins now offers a wide variety of products for households. Their catalog features all-natural products including bath & body, gourmet, health and home care products. With prices ranging from $2.69 to $239.99 there is something for everyone’s price range. Some of their most popular products are the Pain Relieving Liniment, the Pure Vanilla Extract, and their Rejuvenating Foot Lotion. Watkins has also been featured in some top media outlets recently, such as, The Today Show, Better Nutrition, and Family Circle Magazine. Compensation: J.R. Watkins starts their consultants at 15% commission on sales of $150. Consultants can earn up to 35% in commission for personal sales of $10,000. Unfortunately, sales under $150 no longer receive commission. Start-Up Costs: J.R. Watkins no longer offers starter kits to consultants, but you can become a team member for only $29.95. This membership includes free rights to their home business website, training, and more. Personal Website: J.R. Watkins consultants get their own personal website free. Customers can view and purchase products, read about the company, and even sign up to become a consultant themselves. The business website also provides the consultant with online reports and ordering systems to help you build your business to be successful. Bonus Opportunities: J.R. Watkins consultants have the opportunity to receive free products, prosperity bonuses, team sales bonuses, luxurious getaway vacations, and even a company funded incentive program to earn rewards. They also get access to endless training opportunities with experts and professionals who have a strong background in their sales. • Trying new recipes with their gourmet products. Hostesses Rewards: J.R. Watkins does not currently supply their hostess with incentives for hosting a party. 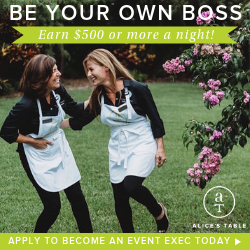 Each consultant is trained and encouraged on how to make home parties successful even though the Watkins company doesn’t have a home party hostess program. Individual consultants can choose to set their own terms for host rewards, but these rewards would come out of their own pocket, and may vary from one consultant to the next.